SEFtec can help you plan and design your complete facility from training equipment to building layouts. Training props do not function in isolation. The facilities around each prop are critical to the safe and efficient operation of the training. SEFtec can provide everything from structural elements to training supplies, leaving you to focus on selling courses and saving lives. Training facilities are also very well suited to offset programs. SEFtec have been involved in a number of such offset programs for large-scale projects involving military training, commercial training and helicopter OEMS. SEFtec can deliver HUET training buildings complete with everything required to begin training. 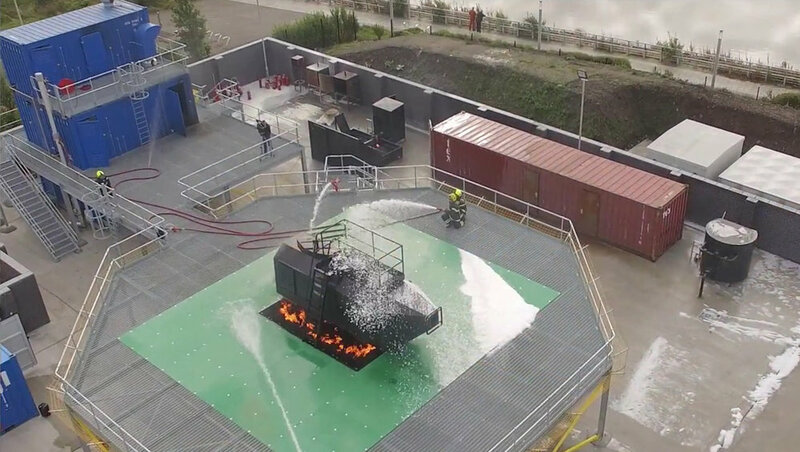 Complete fire-ground training facilities, with structures, fire props and training equipment can all be supplied by SEFtec. SEFtec has vast experience world-wide, allowing training facilities to be custom designed to suit our clients desired training. The unique SEFtec fire prop control system allows multiple fires to be linked together, creating highly realistic training scenarios. Multi-level training facilities help to create realistic approaches to each fire training scenario, adding extra levels of realism. The SEFtec fire prop control system can allow the overall site to be controlled from a central location. SEFtec environmental effects, replicating sea conditions, allow training to be conducted in realistic conditions. 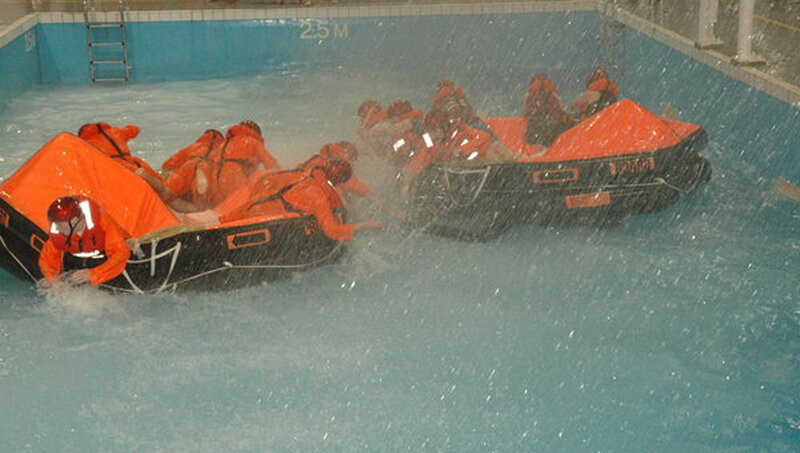 Emergency Breathing Systems (EBS) require training in shallow water. SEFtec can retro-fit EBS platforms to your existing pool. 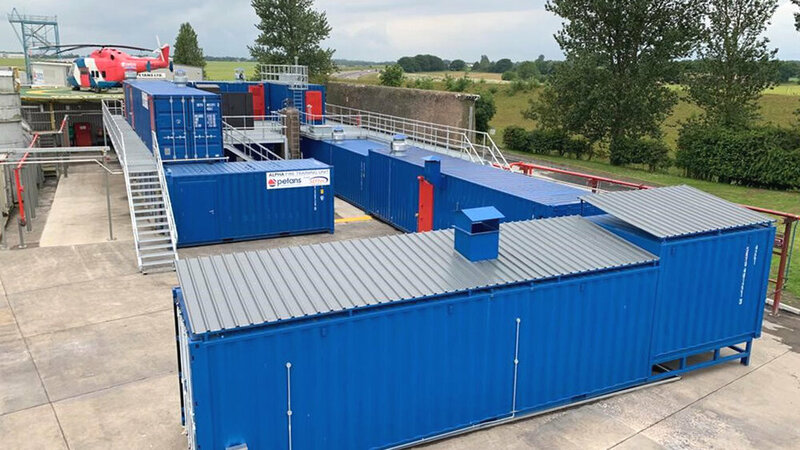 SEFtec can supply training facilities to suit the requirements of the Global Wind Organisation (GWO) training curriculum. Entire OPITO-ready training centres can be supplied in shipping containers by SEFtec, ready to assemble on-site. Fire fighting training stacks, suitable for OPITO and STCW training can be shipped from SEFtec direct to your site. SEFtec can supply a HUET training pool, complete with deck, lifting frame and HUET ditcher ready for assembly on-site.